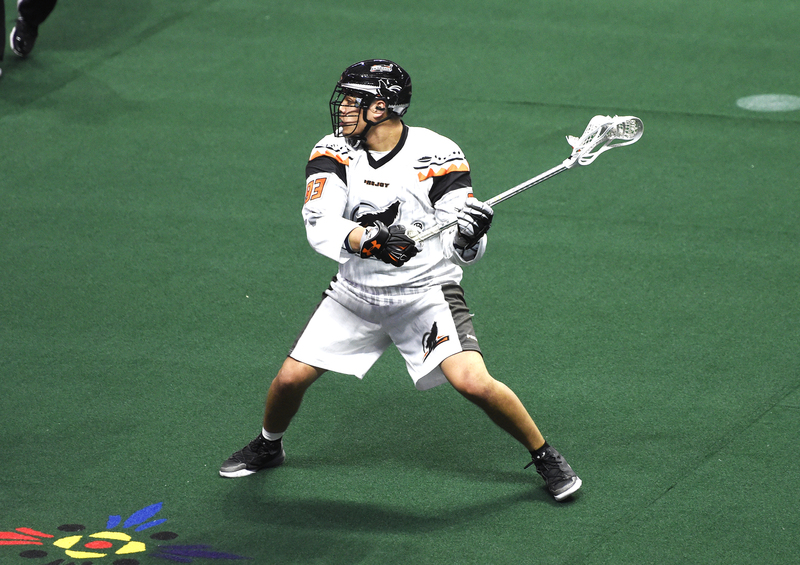 In a three-way deal between the New England Blackwolves, Calgary Roughnecks and Toronto Rock, forward Johnny Powless has been sent to the fifth team of his brief career. The Roughnecks receive Dan Taylor from the Rock in the deal, while the Blackwolves get two draft picks from the Roughnecks. Taylor has some upside—and returns to his hometown—so the Roughnecks are likely happy to receive a secondary scorer who could evolve into a dangerous weapon. The Blackwolves now have some more room to maneuver in the next two drafts, giving them added flexibility. But the big piece in this deal is Powless. At age 25 he remains a bit of an enigma—a player with tremendous talent and plenty of accolades already in his young career, but someone who can’t seem to find a team that wants to lock him down for the long term. So far in seven seasons, Powless has been part of four championship teams and he was a member of the 2012 All-Rookie team. All this for a kid who is still at an age where most players are still learning how to play. Powless entered the league in 2012 at age 18 after being a first-round pick of the Rochester Knighthawks. He had a good rookie season, picking up 50 points, then stepped it up in the playoffs, contributing 11 points in just three games as the Knighthawks went on to win the Champion’s Cup. Powless remained at that same level of performance the next two years as Rochester continued to win championships. After the 2014 season, however, the K’Hawks decided to make a change and sent Powless to the Vancouver Stealth. (Interestingly, this was also the end of Rochester’s run of Cup wins). Powless did not have as much success scoring on the west coast as he had previously, sniping only seven goals in 11 games for the Stealth, although he did have a career-high 32 assists in that time. Vancouver decided they needed something else and sent Powless to the Minnesota Swarm, where he played the last six games of the season and added 13 points, bringing his season total to 52, just one point shy of his career high in 2014. This move seemed to suit him. In 2016 with the Swarm (now relocated to Georgia) he enjoyed his best season to date, with 35 goals and 72 points overall. His performance that year was good enough to get him to 21st overall in NLL scoring. The following year Powless was limited to just 10 games due to injury, but his numbers in that time were fantastic, averaging five points per game—in a full 18 game schedule he was on pace for a 90-point season. His playoff performance was slightly less impressive during the Swarm’s championship run, but his 12 points in three games tied him for the 12th most in the postseason that year and were sixth best on the Swarm, behind five players who all played in one more game than him. The return of Jesse King to the Georgia roster in 2018 resulted in a crowded left side of the offense and much reduced playing time for Powless. Consequently, Powless started the year off with very little production, picking up just 14 points in seven games before being traded to the Blackwolves. He actually did worse in New England, adding just 17 more points in 10 games. The net result was his worst year ever, with only 31 points. Perhaps Toronto is a place where he’ll be able to settle in. The offense should be potent, led by Rob Hellyer, Tom Schreiber and Adam Jones. In a secondary role, Powless might find himself with more open looks and the opportunity to once again be the threat he was for a couple years in Georgia, playing as the next option behind the Thompson brothers. All as he should be entering the prime years of his career. Or perhaps he’ll find himself getting moved again mid-season….